Imagine that you are six or seven years old, and a loving adult comes to you and asks you what you would like to learn. The gentle, caring adult leans down to your level and whispers in your ear: "if you could learn anything you wanted, anything in the whole wide world, what would it be?" If you could speak any language, build anything, make anything, learn any science (astronomy, physics, microbiology, there are tons of different sciences including math), play any instrument, learn about any culture or any part of the world at any period in time, be able to write poetry or plays, be able to train dogs or fly falcons or ride horses or understand any animal, fix or repair anything, paint or draw anything, do any martial art, perform in a play or sing a song, go skiing, play tennis or soccer or any sport, read any book in any language, the list of things to learn is endless.... So, if you could learn ANYTHING, what would it be? Give your child three days to answer, and the freedom to change their minds at any point in time. Take their answers seriously and give them each thoughtful consideration. And while you're at it, do yourself a favor and ask yourself the same thing. If YOU could learn anything, what would it be? 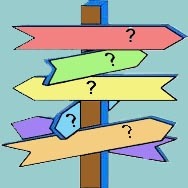 Hopefully, having the freedom to ask ourselves these questions will help us to live a lifetime of adventurous learning! We each have our own learning style. Some learn best from reading, others learn best from watching, others learn best by doing. Some need absolute quiet for concentration, others need the radio on or they can't concentrate. Many parents and teachers I know have been helped by reading Discover Your Child's Learning Style , by Mariaemma Willis and Victoria Kindle-Hodson. It contains a series of easy checklists that will identify your and your child's learning styles. Also, Victoria Kindle-Hodson is available locally for consultations (www.learningsuccesscoach.com). Other books on this same subject can be found at your local library or online. Here's a useful article on Learning Styles and Strategiesfrom Professor Richard M. Felder, North Carolina State University. Finding the style of learning that works best for your child lessens frustration for both of you. It also vastly improves learning efficiency. Sometimes even simple modifications to your day or school structure can make a huge difference. No single method or structure (or un-structure) works best for everyone. Sometimes parents have a way that they think is best and that works best for them, but that way isn�t suited to the child. You need to find the best way to teach the child you have, and this might require a different approach than the one you are using. It�s important to take a moment and see if your child is comfortable, growing, and thriving, and at the same time assess your own level of frustration. It�s also wise to assume that change will be inevitable. Just when we think we have figured out what works for a child, they grow up a little more and all the rules change. I know families who take a learning style �quiz� and reassess their learning and teaching methods at the beginning of every year. See the website of Dr. Thomas Armstrong for information on multiple intelligences. Would your child benefit from a mentor? Read Mentoring - A Guidebook (pdf format) from the Davison Institute for Talent Development.